You know how much I love an animal motif top! In fact this is the third top with an animal motif that I've worn so far this winter. 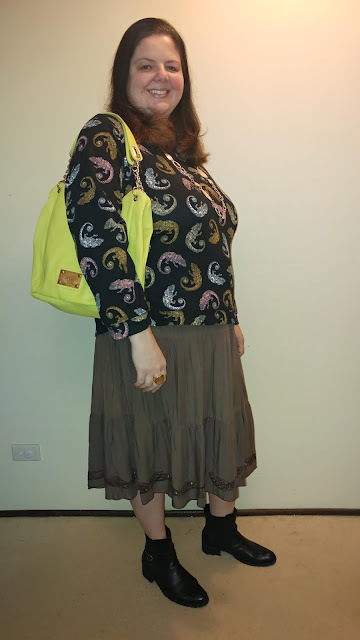 First I wore hummingbirds (see post here). 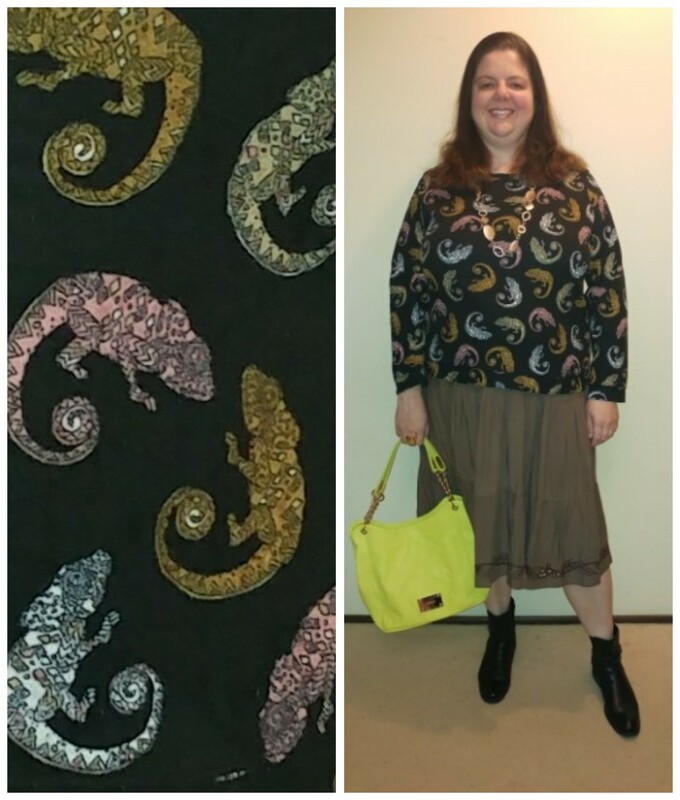 Then I wore moths (see post here). Now it's time for chameleons! I've had this top for a few years now and love wearing it. The print is quirky and fun and it is really comfy to wear. 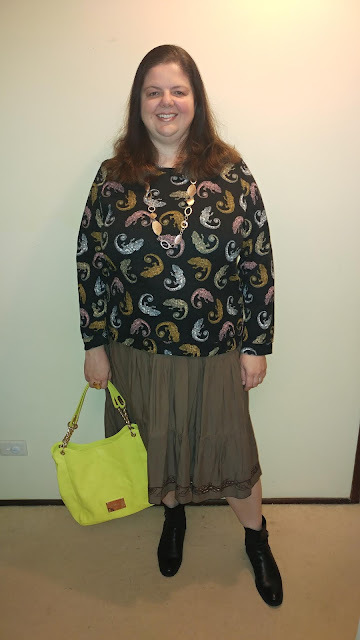 I usually wear this top with jeans, but this time I decided to pair it with my earthy brown skirt for the first time. I chose my vibrant yellow bag to brighten up the outfit and gold accessories to match the bag's gold hardware. Aw, lovey kitty! 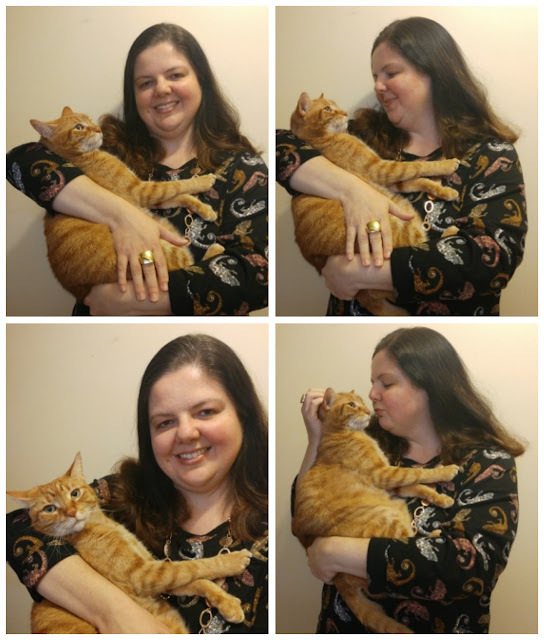 hugs to Amber! 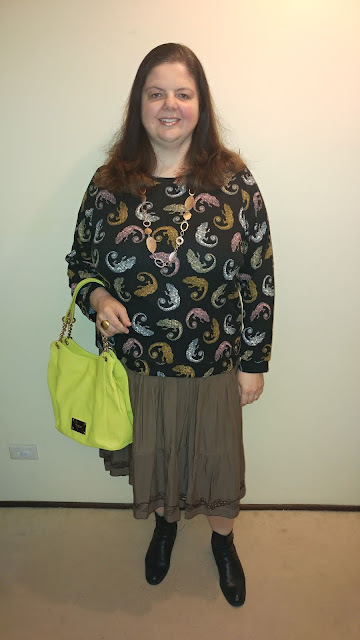 I love the fun print of this top, and like how the lime green(?) bag pops off the fall colours. Happy weekend, Sasha!